As we all wait patiently for this winter season to end ( 6 weeks and counting! ) 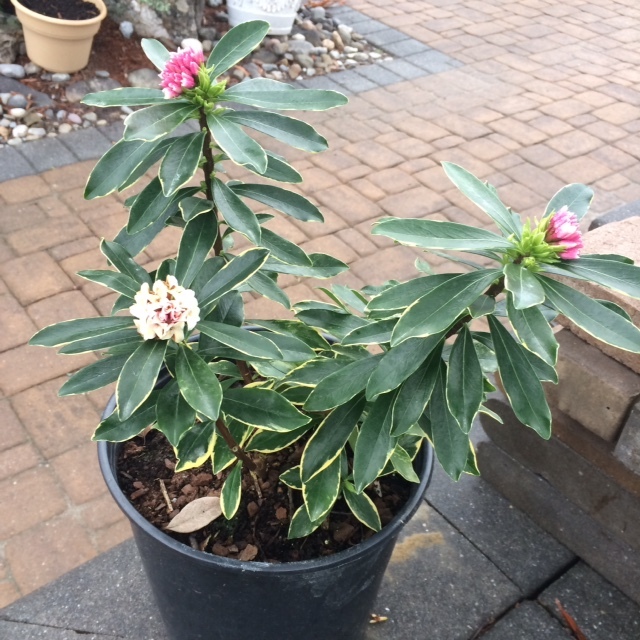 Daphne is starting to show some beautiful color. The pinks and whites of it's tiny blooms certainly stand out in this misty day. As Grant says, it smells like fruit loops in the greenhouse! Check out our availability to get your hands on this great plant.